Technology. Crop sensor technology is good and getting better all the time but human scouting and “ground truthing” is still critical. 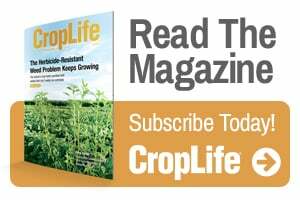 Whether it’s imagery from satellite, drone or airplane, yield maps or precision fertilizer application maps, there are instances where the reality on the ground may differ. And misinterpretation, user error, miscalibration, or malfunction can sometimes create substantial differences from what we think we are doing or seeing based on the images and data we’ve collected. Edge-of-field. Nutrient stewardship continues to evolve, even from last year’s meeting to include not only in-field practices, but also edge-of-field practices (bioreactors, saturated buffers), and conservation efforts that don’t fall under the strict definition of the 4Rs (such as cover crops, grass waterways, wetlands, etc.) In fact, Iowa has adopted its own version of the 4Rs that incorporates conservation practices and named it 4R Plus. Messaging. Several speakers noted the difficulty of identifying 4R messaging that resonates with a majority of farmers, who are still mainly concerned about upfront costs. While there is a need to link the idea of land as legacy, and passing along healthy soil to future generations, the real cost and returns of practice adoption must also be clear. This includes addressing not only inputs but also management of those inputs related to labor and equipment needs. Education. A winter survey revealed that while 85 percent of industry knows what “4R” stands for, only about a quarter of farmers do. So TFI is beginning to shift its education focus more to farmers and retailers. It is crucial for CCAs, universities, and others to step up their 4R education efforts as well. Soil Health. The benefit of improved soil health is a better motivator for most farmers to adopt 4Rs practices than is protecting water quality. Better soil leads to better yields and improved profitability; plus it makes the land more resilient after facing extreme weather. Conservation. While the 4Rs are a key place to start, alone, they won’t get us to our nutrient loss goals. Adding conservation practices to the mix, such as the widespread adoption of cover crops and protecting crop residue by leaving roots intact so stalks stays on fields rather than washing away, are gaining traction with farmers. Soil Testing. Testing soil health can bring out the creative side in all of us. Canadians have turned to a “soiled undies” (#soiledundies) campaign to better understand whether their soils are healthy. Simply plant a pair of cotton briefs in a field and wait a couple of months. Dig it back up, and if it resembles a G-string rather than the original briefs, then you know how biologically active your soil is. Test strips. Cover crops by themselves have many benefits, and they can also serve as testing grounds for fertilizer applications. By utilizing test strips, you can get an idea of how well the soil produces at varying fertilizer rates. This can aid in future prescriptions when crops are grown on the same soils. Artificial Intelligence. Human error can lead to drastically different recommendations for fertilizer applications even when based on the exact same sets of data. In the future, artificial intelligence could remove human emotion and play an increasingly important role as this new technology is refined for our industry. Research. Research continues to play an important role in 4R nutrient management, in part because different areas of the country experience different nutrient management challenges. Several speakers noted that farmers are also reluctant to make changes to their nutrient management and conservation practices until the benefits have been proven, which may require years of planting and harvest data over a wide range of growing conditions.